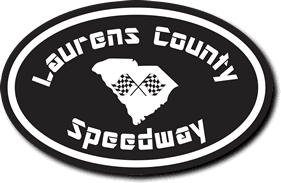 A new era at Laurens County Speedway opened Saturday night when the 2017 season opened with new divisions, and enough noticeable changes to show new track promoter Danny Hurley’s input. But what also showed itself was fun racing, and a little more unpredictability on the starts – something that took away much of the drama from last season’s races. The most noticeable change involved the starts. While each main event’s pole starter was responsible for starting the field in each race, the polesitter had the option of when to start the race within the new starting zone. The zone stretched from just past the outside wall opening in Turn 3 to a line just before the Turn 4 opening to the pits. That meant the polesitter, anywhere in that zone, could punch the gas and start – or restart – a race. What was also new was some of the divisions. The Monster Minis and Thunder Bombers divisions now have a permanent home, while the 602 Crates is at LCS for the first time. The 604 Crate Division takes the place of the SECA Crate Division at LCS, while the Front-Wheel Drive and Limited divisions return to the track. Limited: A highly-competitive seven-driver field saw its 20-lap main event come down to a green-white-checkered finish, and when the checkered flag finally flew Michael Smith found himself atop the field with a victory in the season-opening race. Jimmy Taylor was second and Steven Bowie was third. Frankie Coates started the race in the pole position, with Smith next to him on the outside of Row 1. As the early laps passed Coates jumped out to the lead and quickly got into a strong battle with Smith, who looked for a way by but did not have any success. The battle later resulted in an accident on the ninth lap that saw both cars spin out. Smith was charged with the accident, sending him ultimately to fifth and Coates to fourth. After an attempted restart was negated, the field finally got going again with B.J. Cochcroft in the lead. Taylor later found himself fighting off Coates to hold onto second, but Coates proved too tough and eventually got back to second. Coates later took the lead before Cochcroft spun out. But as the field settled after the caution came out, Coates had smoke come out from his car, and after briefly looking as if he could stay in the race Coates eventually had to retire, settling for sixth. Smith, after a restart with five laps to go, was finally able to pull ahead of Taylor and managed to stay ahead of the field for the remainder of the race. Monster Minis: Phillip Wilson, a fixture at the speedway in previous years, got back to Victory Lane by taking the main event. Jasper Brown was second and T.J. Baker was third. After a negated start to the race, Wilson jumped out to the lead with help of a push from Baker. Brown settled into second place and the two traded the lead twice before Wilson moved in front for keeps. Brown continued to look for a way by past the halfway mark and could not make it count, but was able to put together a late surge that gave him a chance to take the victory after a green-white-checkered finish – even with the two drivers racing side-by-side on the final lap, but Wilson managed to have just enough to pull away. Thunder Bombers: Casey Lawson went from wire to wire and took home the victory in the main event. Troy Bagwell was second and Shane Roberts was third. C4 maintained the lead from the start of the race, starting to pull away after the fifth lap while Roberts looked comfortable in second. A caution came out when Glen Walker hit the wall hard and was done for the night on the eighth lap, and on the restart Lawson again managed to find his way out ahead of the field with Bagwell pushing by Roberts for second. 602 Crate: Mart Patterson, nicknamed “The Judge,” laid down the law in the main event, leading from wire to wire to pick up the victory. Jeff Solesbee was second and Brad Abercrombie was third. Patterson and Abercrombie started the main event on the front row, but the order only held until after a restart on the third lap when Dustin Sloan, who finished fourth, jumped into a temporary hold of second – temporary as it was negated after he, and Abercrombie, spun and brought out a caution. Patterson maintained his position and opened a healthy lead on the fourth lap, eventually pulling away after the final restart on the seventh lap of the race. 604 Crate: Ray Storay picked up the victory in the main event. Taylor Puckett was second with Deano Long third. Storay got off to a strong start on the first lap and found himself in a good battle with Puckett as the early laps passed by. Regardless of the action behind them, both Storay and Puckett continued to stay at the front of the field. But despite having a fair number of looks to try and get by, Puckett could not mount a pass and settled for second. Front-Wheel Drive: Tony Hill started on the pole for the main event and made the position count as he ended up taking home the victory in the main event. Shawn Nichols was second. The two drivers stayed at the front of the field from start to finish in a race that was marred by start after start that was negated by accidents that didn’t see its first completed lap in what was an 18-car race until its sixth attempted start. 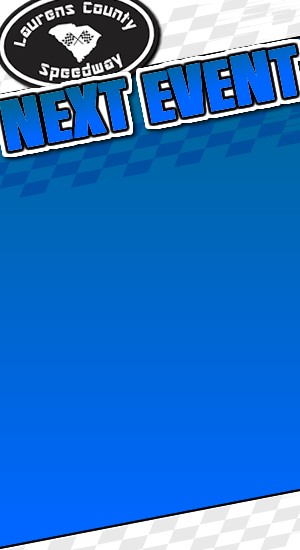 Once the race finally began Hill proved to be the best driver in the field, navigating his car through lap traffic with little difficulty and pulling away to an easy victory.